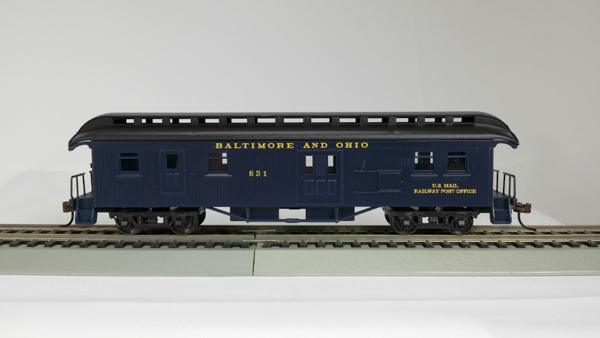 Baggage Mail Car HO Scale, standard gauge. Authentic 19th Century styling. Operating HO knuckle couplers. Fully assembled and ready to run.